If you are a guy in the City of Saint John – you’ve probably noticed over the past 2 years that your clothing options have increased with the opening of Ready Man – a clothing store for men in Brunswick Square that caters to the stylish and trendy guy. There is something for every guy in your life at Ready Man – whether you’re shopping for your brother, father, boyfriend or best friend. 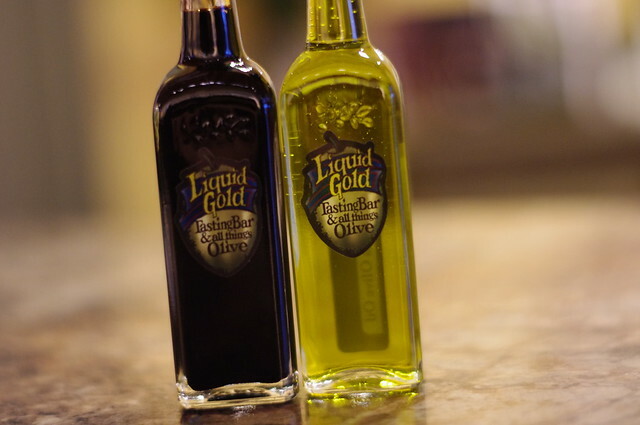 I’ve selected some of my favourite items to show you… check them out below! Ready Man has a HUGE selection of Ray Ban glasses – from the classic Aviators to the looks-good-on-every-face-ever Wayfarers. The shoe selection at Ready Man isn’t huge – but it’s awesome. Kiera and Zoe have a great prize available to be won – check out the giveaway below! 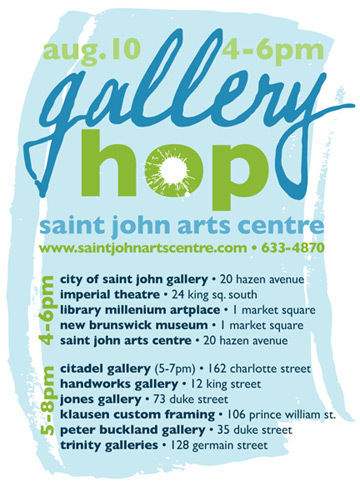 Locally owned, independent shops are a big part of what makes Uptown Saint John such an incredible place to spend time. Shelley opened the Urban Shoe Myth on King Street in 2011. She carries HUNTER, FRYE, Steve Madden, Michael Kors, Nine West, Rebecca Minkoff + many more must have brands. These lisa b. socks are insanely cute. Also, the thought of having matching mom & baby socks makes me instantly “awwwwwwwwwww!!”. To go along with any tall boots you may have for the winter season, Urban Shoe Myth has a great selection of tall boot socks that go all the way to your knee and still have a little bit of slouch. USM is the only place in town where you can buy Jenny Bird jewelry. It’s very edgy, but still classic. I have a Jenny Bird bracelet I wear quite often, and with everything! Love these stackable bracelets – with a magnetic closure! *I’m sure you can find a pair for the lady on your list here, as well. Maybe two. The prize from Urban Shoe Myth up for grabs is lovely. It’s a scarf from Front Row Society – a group in Berlin that works with an open collective of designers who submit artworks to their design challenges. 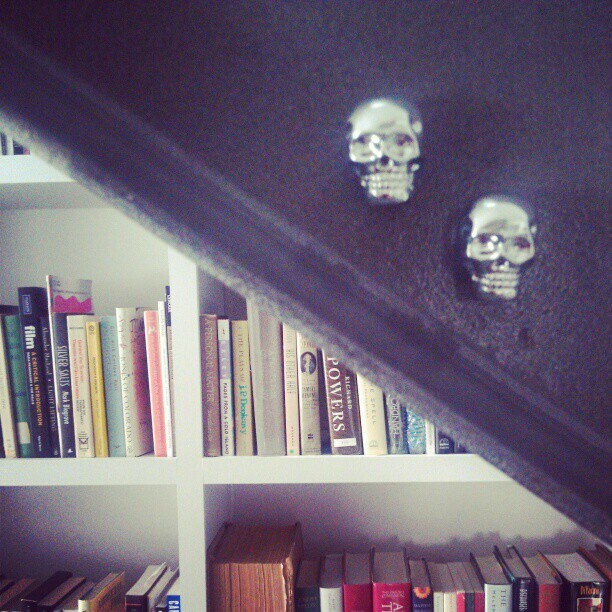 Winning designs are curated into seasonal collections that are sold online and in stores. The design are incredible – check some of the past competitions and winning designs here. 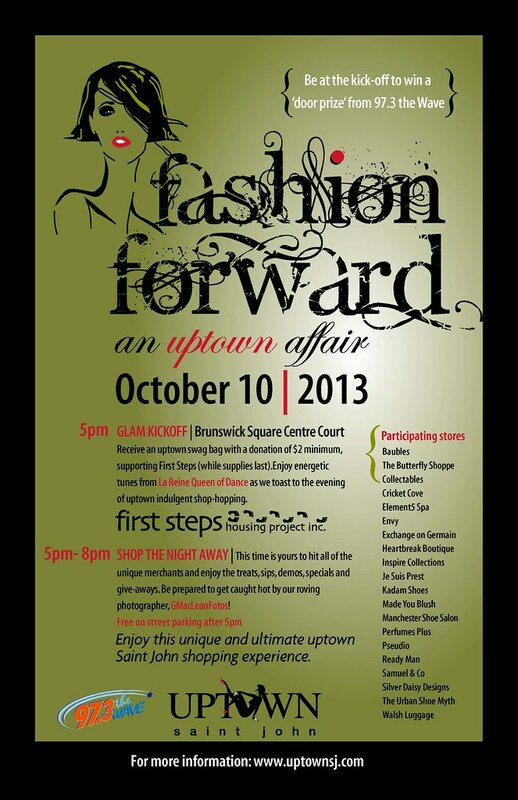 An event you should be attending – Fashion Forward! 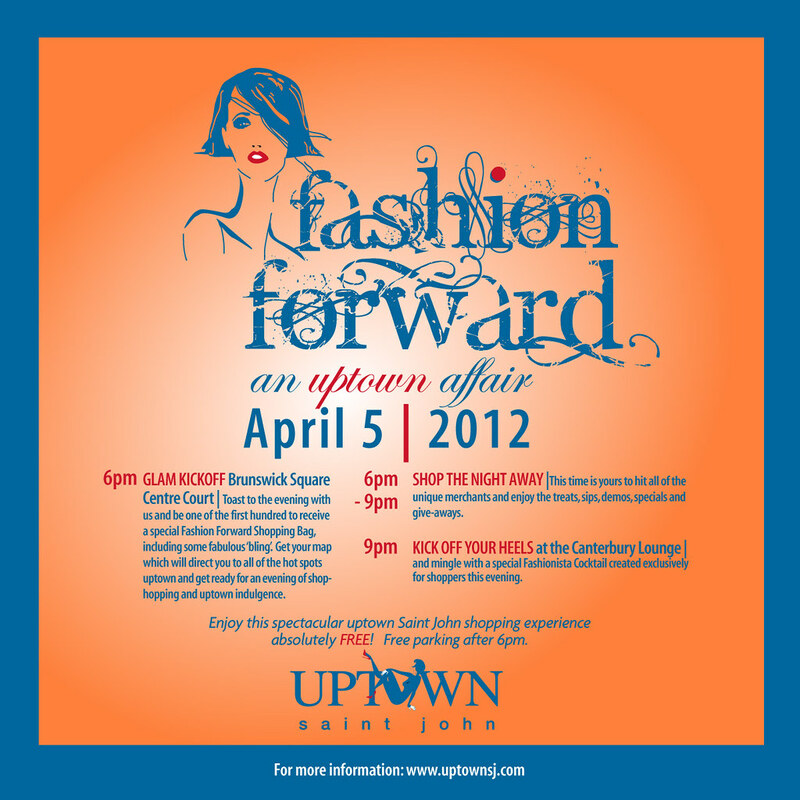 Tonight in Uptown Saint John – check out Fashion Forward! The event kicks off at 5pm in Brunswick Square. 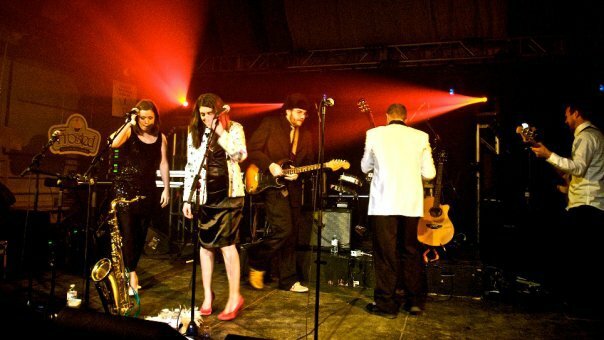 Donate $2 to First Steps to receive an Uptown Swag Bag! 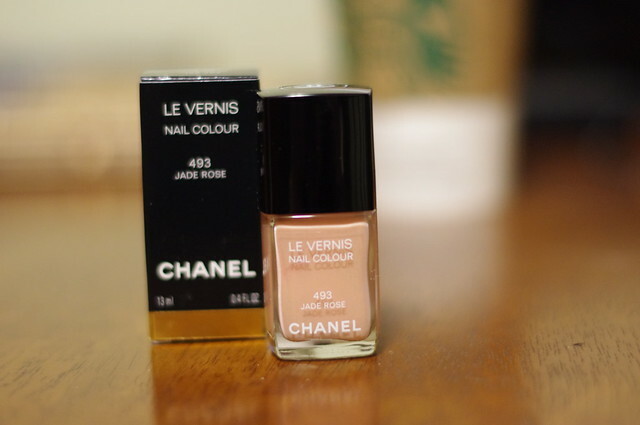 (Last year I received lots of goodies including a scarf, hand cream, perfume…). 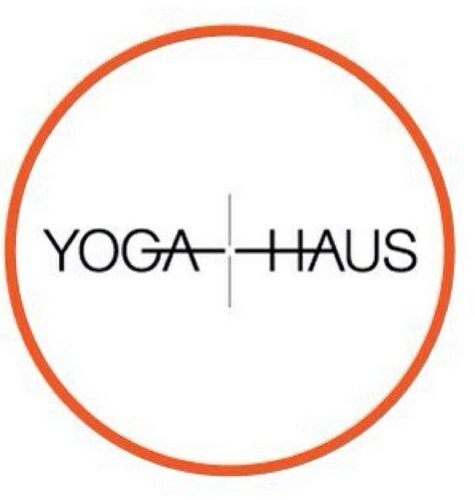 There are door prizes and events happening at all of your favourite Uptown shops – it’s definitely worth the trip! 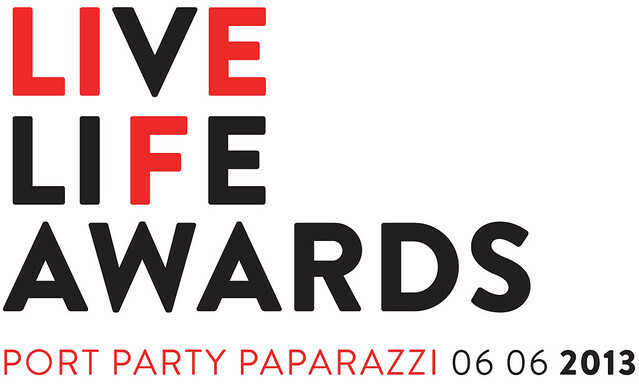 The 2013 Live Life Awards are tonight at the Diamond Jubilee Cruise Ship terminal on Water Street. I have my shoes picked out, my nails painted red and my camera batteries charged. 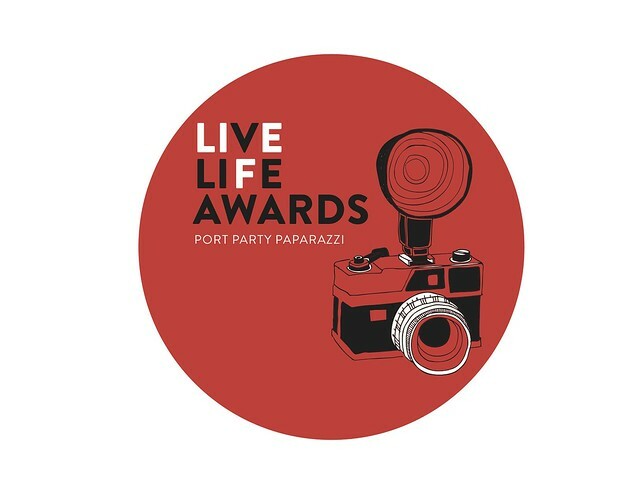 I’ll meet you all on the red carpet tonight to snap your photo- paparazzi style. 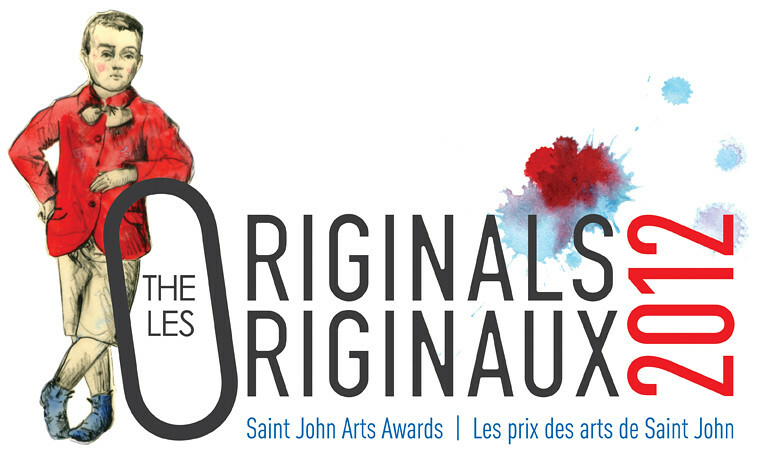 Fashion forward – TONIGHT in Uptown Saint John! I can’t wait to hit the ground running at 5pm today for Fashion Forward. I’ll be shopping my heart out (well, as much as my budget can stand) at all of my favourite Uptown locations. Yesterday I met up with Adam Donnelly and Chelsea Donaldson to do a video promotion for UptownSJ – take a peek! For more information, check out the UptownSJ page or the Facebook event! See you out on the Town! Can you believe we’re in the 2nd week of August already? It seems like the next few weeks are jam packed with events… almost like a “last chance” at summer fun. 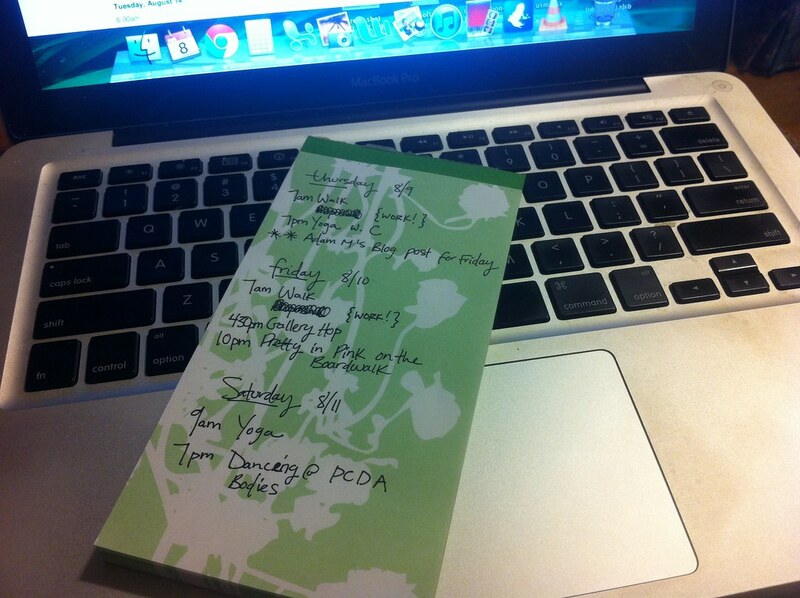 When I look at the calendar and see all that I need to accomplish in the next few weeks… it’s a little daunting. That’s what “to do” lists are for! I hope to see you out and about! 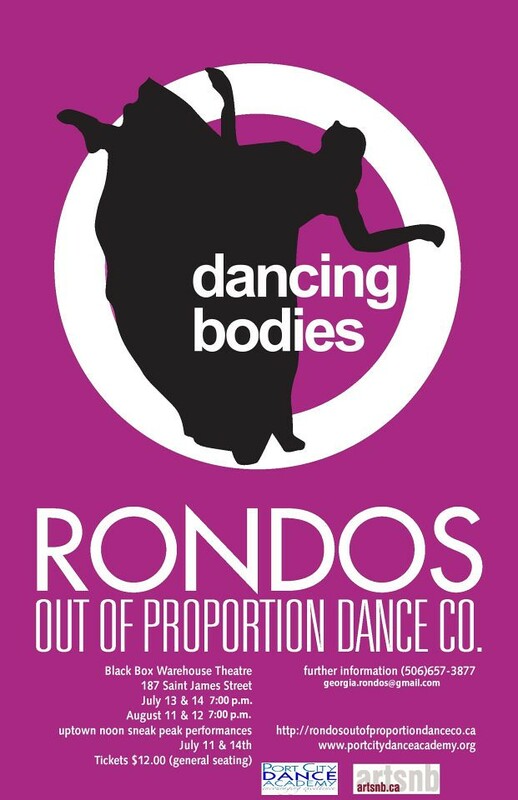 As long as nothing else pops up, I hope to be Gallery Hopping Friday night, practicing Yoga Saturday morning, seeing an incredible dance performance Saturday night and then dancing my heart out to the 80s band featuring a few of my friends from Fredericton. Click any of the photos below to be linked to more info. My curiosity got the best of me! 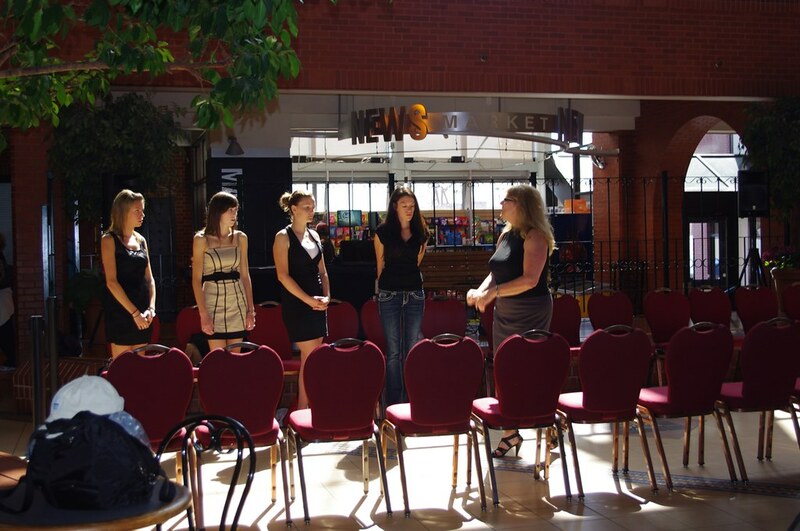 There was no way I was staying away from the New Brunswick Fashion Week model audition at Market Square yesterday. Linda Buchanan (Buchanan & Co.) was on site to do the casting for the models. A few girls showed up for the casting specifically, and one was asked to audition while walking by! Neat! 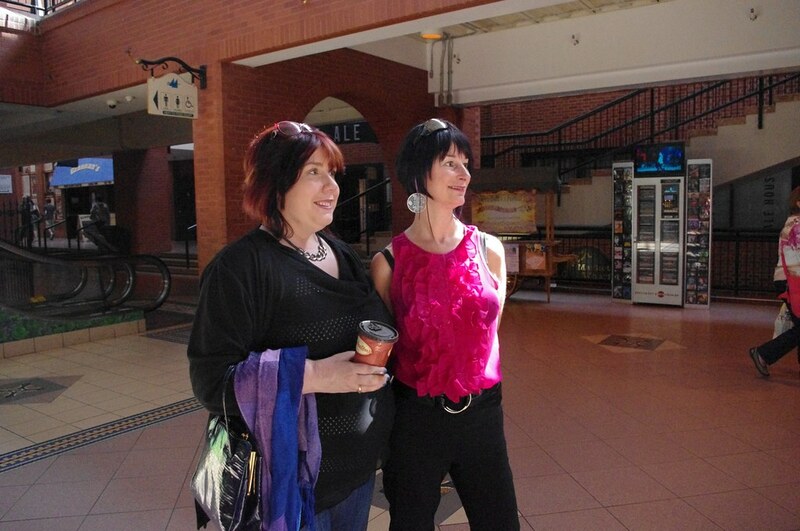 Chantal, Wendy and Bonnie from Essential Esthetics were on hand to look for a hair model! They’re looking for a lady with long dark hair. Is it you? Are you willing to get your hair done for the fantasy hair competition? Leave a comment and I’ll get you in touch with them. Are you planning on attending any of the Fashion Week activities? What have you heard about it? 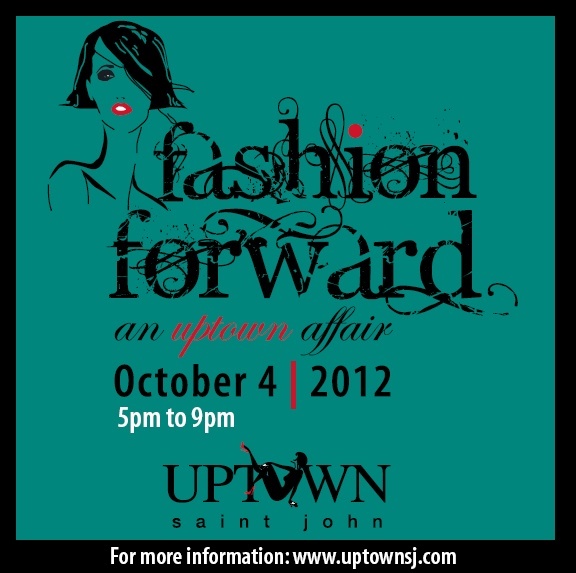 Thursday evening prior to the Saint John portion of fashion week… Uptown SJ is hosting Fashion Forward… A Uptown Affair for all of you lovely fashionistas! 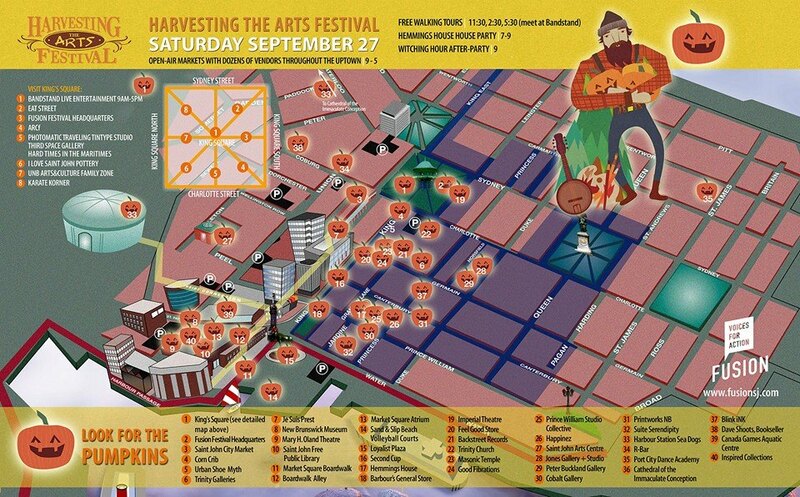 Great events happening throughout the Uptown!